Here’s a quick project that you can make using the plain version of one of your embroidery blocks. Some cute and easy kitchen towels! 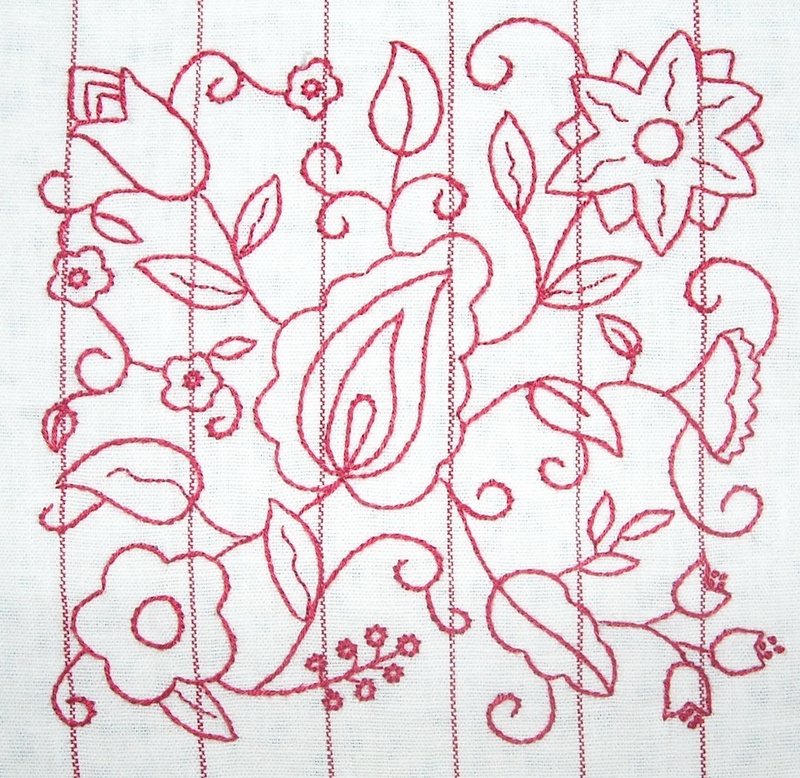 I used the embroidery pattern for Block 5, the plain version, in one color, for my tea towels, which you can find by clicking HERE. Simply reduce the pattern to the size that you want (I used 50%), and trace it on to a pre-made towel, and stitch it out. 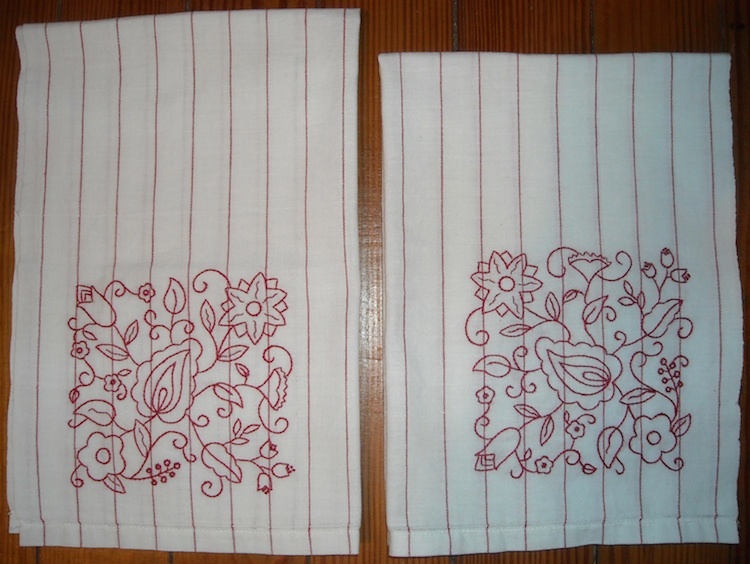 I just happened to have on hand these two vintage red and white-striped towels, and they were perfect for my project. You can purchase pre-made kitchen towels in lots of styles and colors, or you can get fabric you love and make your own and then stitch on the design. When I finally get my kitchen finished, my colors will be red and white, so I think these will go perfectly and look really cute in my new kitchen! I’ll be back tomorrow with a finish to show you from a previous quilt-along participant, and I hope to get Block 6 posted within the week. I am looking forward to block 6. I would love to send you a photo of my five blocks but I do not have the capabilities or camera to do so. Love them and I am anxious to see them all put together. Thanks so much for your beautiful designs.